Welcome to Flash Pulp, special episode nine. Tonight we present, The Last Night Legend. This week’s episodes are brought to you by the Nutty Bites Podcast. Welcome to Flash Pulp, special episode eight. Tonight we present, SE8 – Heckuva Job, Part 1 of 1. This week’s episodes are brought to you by treed!. The majority of the ten foot by ten foot room was taken up by a round table, which was surfaced in a light brown faux-wood veneer. Randall tugged at his tie, pulled the collar of his shirt away from his sweat-slicked skin, and wished that Warren would deign to loosen his own knot, so that the younger man might be excused such a level of informality as to actually take the bloody thing off. Randall was not a fan of ties in general. The crisp necked Warren was standing before the wide whiteboard that occupied the wall opposite the door, a dry-erase marker in his hand. “We need to be inclusive if we want to get this package passed,” he said. Randall was also not a fan of the condescension his senior allowed into his voice while discussing their work – the younger man had little respect for authority gained through simply aging. It seemed that Warren paid no heed to his response. Tutting, the codger tapped the capped end of the blue dry-erase against his chin, and stared down the diagram he’d sketched. “What if we add some rabid beasts at the top of the hill?” he asked. Now Warren’s face had also taken on a red tint; his greatest point of annoyance was impudence, of which his junior partner never appeared in short supply. Warren did ease his tie then, but Randall had forgotten the heat, and instead let loose his tongue. “Fine, but there are also RULES to be considered – perhaps, given your advanced age, your shriveling frontal cortex has misplaced them.” He fought to deliver the line coolly, but his raggedly chewed fingernails left a constellation of bloody crescents across the meaty flesh of his palms. Neither side willing to continue the conversation, both shifted their position and located items of interest to stare through; Warren at the whiteboard, Randall at the pockmarked plateau of the table. The junior of the pair found some satisfaction in spitefully removing his neck-ware. Eventually, however, he could no longer stand the silence. “Do you ever – have you ever considered that someone may have designed this room as well?” he asked. Welcome to Flash Pulp, special episode seven. Tonight we present, SE7 – The Phantom Suburb, Part 1 of 1. This week’s episodes are brought to you by Geek Out with Mainframe. Welcome to Flash Pulp, special episode six. Tonight we present, SE6 – The Pale Child, Part 1 of 1. Welcome to Flash Pulp, special episode five. Tonight we present, SE5 – The Pool Boy, Part 1 of 1. Welcome to Flash Pulp, special episode four. 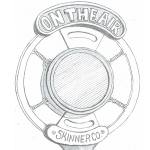 Tonight we present, SE4 – The Final Broadcast, Part 1 of 1. Welcome to Flash Pulp, special episode three. Tonight we present, The Haunted Mixtape, Part 1 of 1. Welcome to Flash Pulp, special episode two. 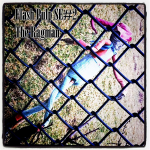 Tonight we present, The Ragman, Part 1 of 1. 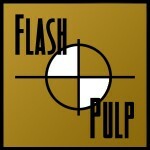 Welcome to Flash Pulp, special episode one. Tonight we present, Midnight Tales with Cassandra, Part 1 of 1. For the full text visit the Flash Pulp wiki.